We teamed up with Paula Bowles, children’s book illustrator, earlier on the year to help design our Clifton Observatory Shaun the Sheep as part of the Shaun in the City project. Using our wonderful city as inspiration, Paula painted ‘A Sheep’s Eye View’ on our Shaun. 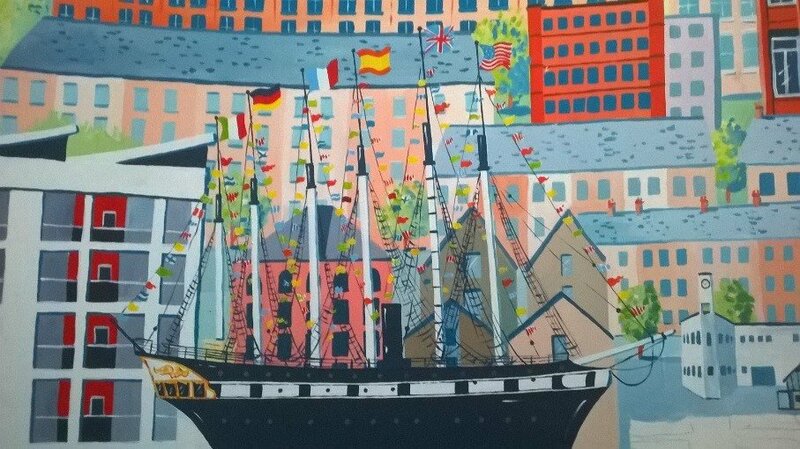 She describes it as a ‘fun representation of our beautiful city of Bristol, focused around the harbour with lots of different landmarks popping up here and there’. We loved our Shaun so much that we wanted a similar design in the Clifton Observatory… something a bit more permanent! 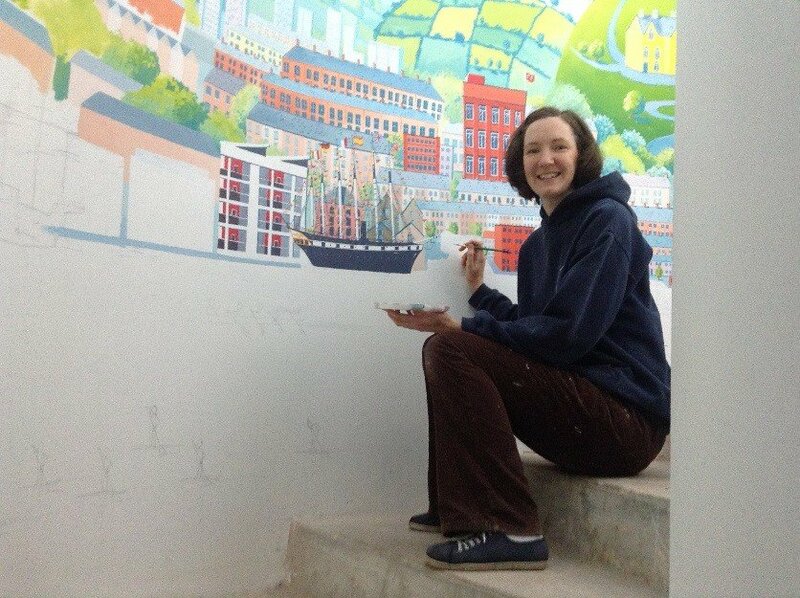 After a few days planning and designing, Paula got to work painting the wonderful new mural of Bristol. ‘There is a window half way up the staircase, which I felt was a key influence in the composition as it more or less ‘cuts’ the wall space in half. So I ended up composing the landscape around the window, and felt that the Suspension Bridge would fit well, with each tower either side of the window, and the bridge running underneath. This then meant that the composition would naturally mean the south of Bristol spread out to the left and the north of Bristol to the right hand side of the window. We think our iconic, bright and vibrant city is perfectly reflected by the very colourful palette used on the mural and we hope that it appeals to families and children of all ages. Come along and have a look for yourself; we guarantee it will remind you why we love Bristol and leave you feeling bright and cheery. Did you know there is an old myth that two giants lived in Bristol? 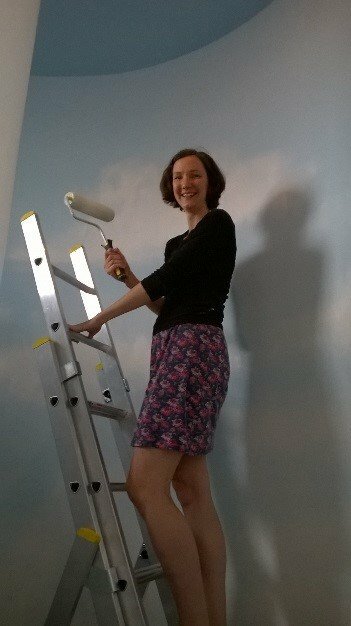 Come and see if you can spot them in our mural! While you’re at the Observatory, you can also visit their home in the Giants’ cave. Something is hiding in the harbour… can you spot it? Brian Blessed hails a successful Flash Gordon @ ObservatoryCamera Obscura Day!